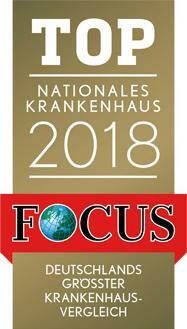 According to the Focus magazine, the Department of Adult and Pediatric Gynecology, Obstetrics at the University Hospital Muenster ranks among the top German departments specializing in obstetrics! The department offers the full range of diagnostics and treatment of all gynecologic diseases in women and girls. The specialization includes surgical gynecology and gynecologic oncology, obstetrics and perinatal medicine, gynecological endocrinology and reproductive medicine. All the very latest and most effective treatment methods are available here.The Chief Physician of the department is Prof. Dr. med. Ludwig Kiesel. A special focus is made on the treatment of malignant tumors of the female reproductive organs, which is carried out within the Comprehensive Cancer Center Muenster. A highly qualified interdisciplinary medical team works for the benefit of the patients. The basis of its activities is the use of the very latest therapeutic options in combination with psychosocial care. The department is certified by the German Cancer Society. If the surgical removal of gynecological tumors is required, preference is given to minimally invasive techniques, which have several advantages compared with classical surgery, for example, a small incision (2-3 cm), minimal pain, low blood loss and early recovery of the patient. The most common diagnoses in the field of gynecological oncology are uterine cancer, cervical cancer, cancer of the external genitalia (vulvar cancer), vaginal cancer and cancer of the connective tissue of the reproductive organs (sarcoma). Obviously, the service range of the department includes the diagnostics and treatment of common gynecologic disorders, for example, endometriosis, uterine myoma, polycystic ovary syndrome, hormonal disorders due to the gynecologic diseases, menstrual disorders, etc. Also, the department's specialists provide comprehensive care for young patients with such problems as premature sexual development or its delay, irregular periods in girls, and genital infections. In the field of obstetrics and perinatal medicine, the department provides the comprehensive pregnancy management and ultrasound diagnostics in all trimesters of pregnancy, including the invasive diagnostics and therapy in the womb (amniocentesis, umbilical cord puncture, etc.). Natural childbirth is particularly important, however, the department offers all modern methods for complicated labor and anesthesia. The scope of tasks includes quality postpartum care both for mother and baby. At the same time, the key role is played by sensitive, friendly attitude, care and openness to all wishes and questions of a woman. If necessary, the patient is also provided with the help of breastfeeding specialists, pediatricians, psychosocial workers, physiotherapists, and nutritionists. If something threatens the life of a child during or after childbirth, the department's specialists immediately take all the necessary therapeutic measures in order to improve the baby's health. The department also employs the specialists in the field of reproductive medicine (specialized center). They make every effort in order to give a woman the opportunity to have a child. The therapeutic options include in vitro fertilization, intracytoplasmic sperm injection, ovarian hormonal stimulation, in vitro fertilization with microinjection of spermatozoa into oocytes, TESE technique and other assisted reproductive techniques. 1975 - 1978 Study of Medicine in Heidelberg. 1978 - 1979 Scholarship of the German Academic Scholarship Foundation, Royal Free Hospital Medical School, University of London. 1979 - 1981 Doctoral research work in the Department of Gynecology at the University Hospital Heidelberg. 1981 - 1982 Research Fellowship of the German Research Foundation. 1982 American State Examination (ECFMG). 1983 - 1989 Internship in the Department of Gynecology at the University Hospital Heidelberg. 1989 Board certification in Gynecology and Obstetrics. 1992 - 2000 Senior Physician in the Department of Gynecology and Obstetrics, University Hospital Tuebingen (Head: Prof. Dr. med. H. A. Hirsch). 1996 Facultative medical training in Special Surgical Gynecology, Special Obstetrics, Gynecologic Endocrinology and Reproductive Medicine. 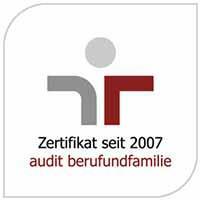 Since 2000 Head of the Department of Adult and Pediatric Gynecology, Obstetrics at the University Hospital Muenster. Member of the Ethics Committee of the Medical Association of Westphalia-Lippe. Chairman of the Foundation for Endometriosis Research (SEF). Board Member of the World Endometriosis Society (WES). Board Member of the German Menopause Society. Ex-President of the German Menopause Society. Board Member of the Umbrella Association of Reproductive Medicine (DVR). 1st Chairman of the Tumor Center Muensterland. 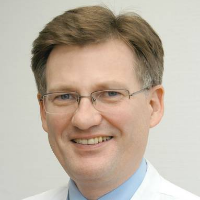 Board Member of the German Society of Gynecologic Endocrinology and Reproductive Health. Chairman of the German-Hungarian Society for Gynecology and Obstetrics (DUGGG). 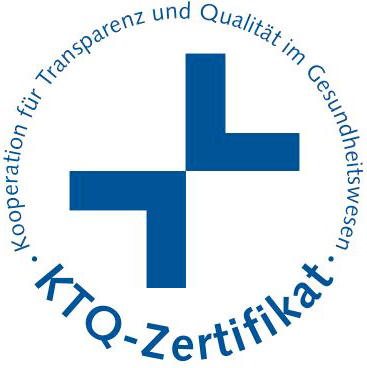 Member of the Guidelines Commission of the German Society for Gynecology and Obstetrics (DGGG). Member of the International Menopause Society. Member of the European Endometriosis League. Representative of the German Society for Gynecology and Obstetrics in the Association of the Scientific Medical Societies (AWMF). Member of the European Menopause / Andropause Society (EMAS). Editorial Board Member, Associate Editor of "Breast Care". Editorial Board Member of "Journal of Endometriosis". 1981 European Research Prize of the Japanese Medical Society. 1986 Schoeller Junkmann Award of the German Society of Endocrinology. 1991 Julius Redel Prize of the Heidelberg University. 1991 Endometriosis Research Award of the Foundation for Endometriosis Research (SEF). 1992 Poster Award of the German Society of Gynecology and Obstetrics. 2010 Semmelweis Medal of the Hungarian Society of Gynecology and Obstetrics. Department of Adult and Pediatric Gynecology, Obstetrics.